This is the trailer of our video Mixing Jay Stolar in Studio One. Available at [site] In this video, Fab mixes a trio recorded live in real time conditions. This is a full mixing tutorial, top to bottom where the main challenge is to manage the bleed that has been captured in every microphone and the limitations of very close miking. This tutorial focuses on the limitations of handling every single track individually when a lot of bleed in involved, like concert recordings or full band recordings in one room, and shows you how to use bleed to your advantage. Done in Pro Tools, during the Audiodays seminar , the tutorial features the new Avid channel strip, Softube and Flux plug-ins. Fab also uses hardware from Tube-Tech PE 1C Equalizer, Tube-Tech CL 1B Compressor, and Dave Hill Design Titan Compressor. Will Knox gives a rousing rendition of his song 'The ship and the storm' accompanied by drums, and cello. In this three part video series, Fab Dupont takes a live recording of Jay Stolar's 'Fall Apart' and turns it into a finished mix. Presonus Studio One was used for the entire recording and mixing process. This video is great for any songwriter or producer working with live bands. You will learn ways to make real instruments sound punchy and present in a modern way. 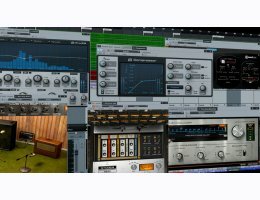 Using Studio One's built in plug -ins as well as lots more from UAD, Softube and Soundtoys Fab takes the song from raw tracks to finished product in a little less than two hours. He mixes drums, bass, guitar, keyboards, vocals, comparing microphones when several are available (Original mic placements are shown) making choices based on the song context and the final desired results. 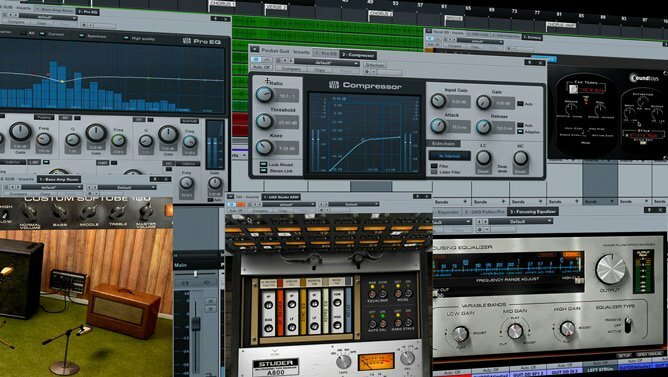 Many mixing techniques are addressed including parallel compression and space design with multiple reverbs. You will also learn about transients management and tune a vocal track with taste.